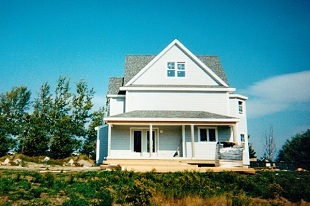 Purvis Roofing is a family owned Roofing & Home Improvement Contractor serving Southern Maine and New Hampshire since 1999. Shawn Purvis and his team have an outstanding reputation for quality residential and commercial interior and exterior remodeling and roofing. 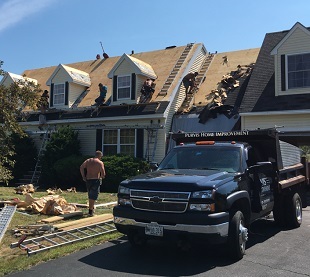 In an industry that is short on integrity Purvis Roofing stands apart from the crowd and perfects the delivery of home improvement services in an efficient and thoughtful manner. 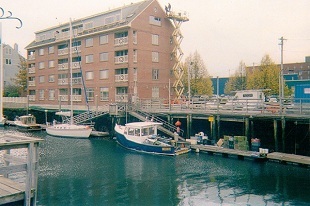 Purvis is a long standing member of the BBB and is fully insured. Our mission is to handle our customers roofing, remodeling, renovation, and repair projects with dedication and commitment. Whether it's a new or renovated roof, new siding, ice dam protection or repair, remodeling a portion of your home, or building an addition to expand your work or living space, we will go the extra step to insure that the work we do for you provides function and value. 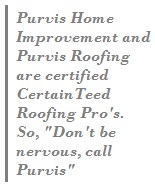 When you hire Purvis Roofing and Purvis Home Improvement you get experience, knowledge, quality and commitment. Everyone at Purvis is committed to quality service, and all are properly trained professionals who are responsible and capable of fulfilling commitments in a timely fashion. Our projects are properly managed with pre-planning, complete and accurate project estimating, effective communications and diligent supervision.